Sorry for the really late post. I am sick (again) and was just able to have the condition to post in my blog. For this last part, I will explain more on my figurine collecting, like how it started and what type of figures I collect. It will also cover some advices and terms you should know when you plan to collect. How did you go into figure collecting? It started when we were just buying small figures from anime and cosplay conventions that were priced between P200 to P500. But we never knew we would be collecing more in just a span of one year---especially when we were introduced to other kinds of bigger scale figures, Figma, Nendroids and the like. It also started when wedylawliet introduced me to a trusted figure online shop called Onegai Onii-chan Japanese Figure Store that sell various figures in all shapes and sizes. 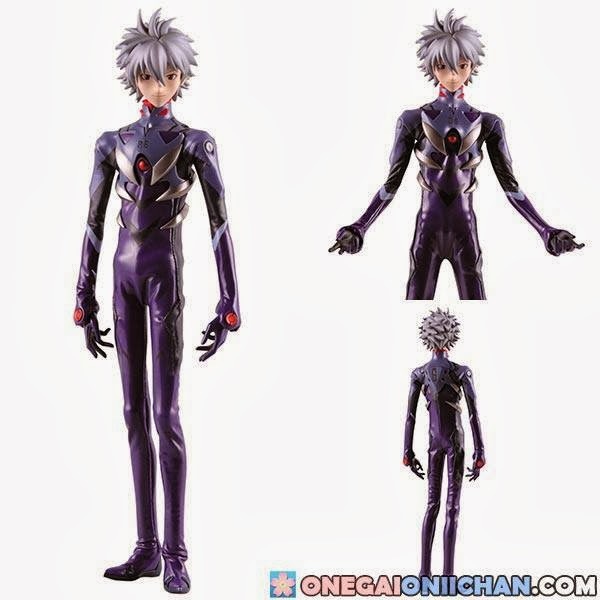 As I was browsing through their catalog, the Kotobukiya’s ArtFX J 1/7 Seto Kaiba caught my eye and I wanted to buy it because Kaiba is one of my favorite characters in Yu-gi-oh. After messaging the owner about the details and procedure in ordering, I paid the downpayment for the Kaiba figure and waited until it came September last year (I ordered around June). Since then, my boyfriend and I have been scouring conventions, legit figure physical shops, legit online figure shops and surplus shops for authentic and original figures to add in our collection. As of 2013, my boyfriend and I have set our own goals on what figures to prioritize so as not to be overwhelmed. After all, just like cosplay, this is an expensive hobby. 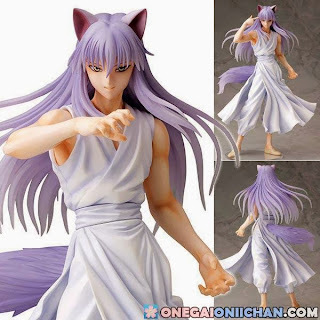 But if we see cheaper yet authentic figures in conventions, sometimes we buy them---especially those from old-school animes. What kind of figures do you collect? Oh wow, in terms of types, I would say most of them except the model kits. As long as they are my favorite characters, I want to collect them. Also for characters who are my all-time favorites, I make sure to buy almost every figure of them and make a “shrine”. 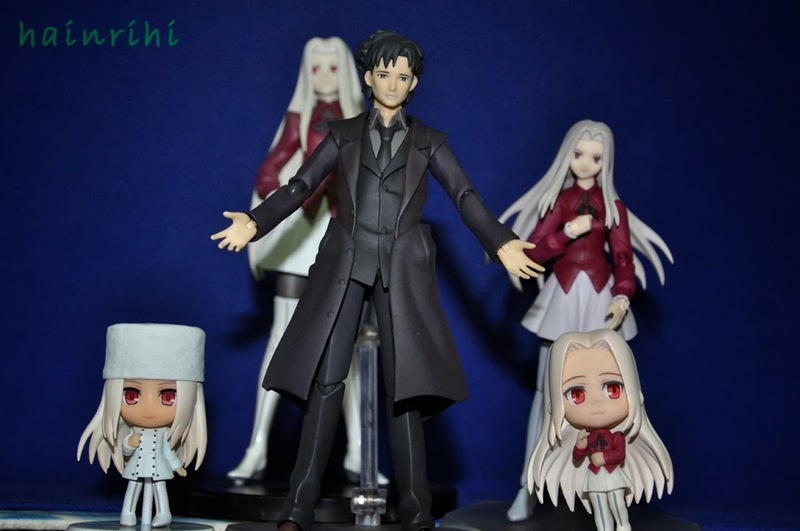 For instance, I collected Irisviel and Kiritsugu (from fate/Zero) figures that I could find. 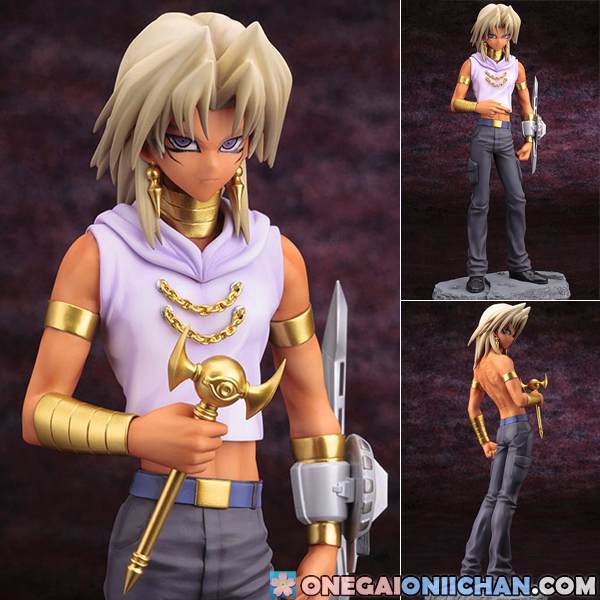 Marik Ishtar - Yu-gi-oh - One of my favorite characters. 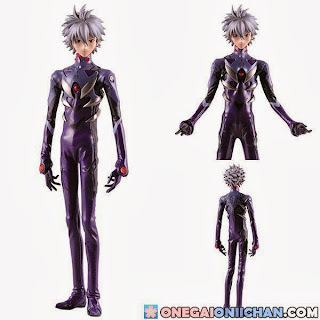 I already pre ordered him from Onegai Oniichan. So whether they are trading, prize, small, large or gashapon figures, as long as they are my favorite characters and come from old-school animes, I want to collect them. Why do you just display them? They are toys after all, so they should be played by kids, right? In my case, they are my collection that should be taken care of. I think I got it from my dad who is a collector of tanks and military figures, but I believe my figures can be at their best care when I display them in shelves and display cabinets. These are not normal toys that kids play and throw around because these are meant to be collected in one place to show my love for the hobby. Just like other hobbies that involve collecting and displaying, displaying figures is a way to show my love for them as well as to (haha) show off what you have worked hard for. It is not easy to get into figure collecting, but when we display in our display cabinets and take care of them, we show everyone how much we love them. Some people might not understand, but we have our own ways of taking care of the things we collect and this is our way. Of course, there are also other things we do with our figures aside from displaying them in our rooms. Another thing is we can lend our figures in anime/cosplay conventions as a sort of “show-off”. Maybe you can find it similar to museums where various things are displayed, but this time, figure collectors lend their various figures and con-goers take pictures of them on the display table. What do you advice to those who want to go figure collecting? Well, (laughs), I don’t know if I have to right to give advices in figure collecting but what the heck. I will just give advices that I have learned in my one year of figure collecting so you won’t repeat the same mistakes I did. List down first the figures that you want to acquire, maybe, for 6 months to one year. In this way, you will know what to prioritize and then fix it chronologically, with the top figure as the one you really want. After making a list, see if you have the budget for the figures. As I have said in the past posts, figure collecting is expensive so you need to set a budget or at least save up. If you do, buy the figure. If not, you have to wait until you have saved enough. I know the feeling when you want to buy a figure so much and you will say “you have enough money” when actually you don’t have. This is especially true when the store either allows installments or downpayments. So see into your money first before buying first. This is one advice that I have learned the hard way and have suffered (and still is) the consequences: Never order a lot of figures at the same time. This is especially true for pre-orders and backorders that have gaps of weeks to months before the figures arrive. Before you know it, you are already overwhelmed with the many figures you have to pay before the deadline arrives. So take it easy and, as I said awhile ago, prioritize the figures that you want to get and maybe set a schedule on when you want to buy them. Set a sort of a goal on what figures you plan to collect, like sort of a theme. 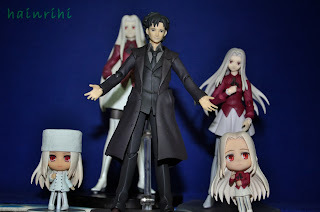 Just like what I did where I plan to collect my favorite characters from Fate/Zero and from old-school animes. In this way, you will know what you really want. 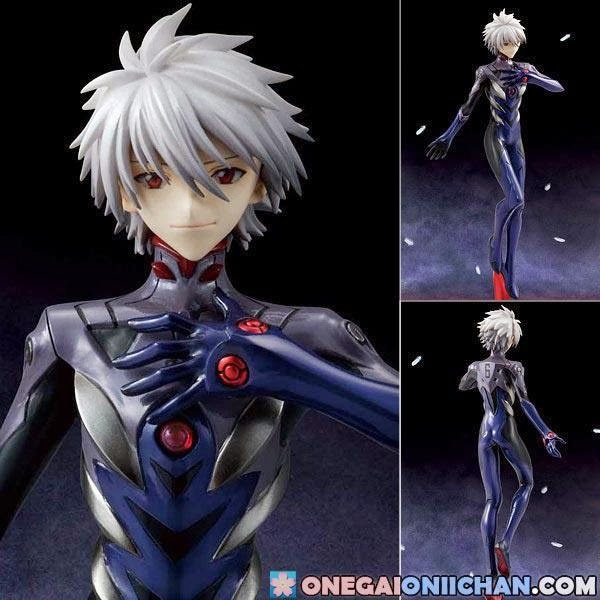 If you want some organizing and knowing what you want, you can try creating an account here: http://myfigurecollection.net/.